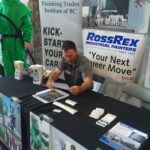 This week the Finishing Trades Institute of BC, lent our assistance to two of our painting contractors at a hiring fair in North Vancouver. The Squamish and Tsleil Waututh Nations along with the YWCA and Work BC held a joint hiring fair at the Lonsdale Pipe Shop next to the Lonsdale Quay. 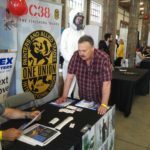 This was the second hiring fair of its type held on the North Shore and based on more than double the traffic through the event this year, the fair could only be described as an overwhelming success. Our signatory contractor, Done Right Painting, was joined this year by another member contractor, Ross Rex Industrial Painters. 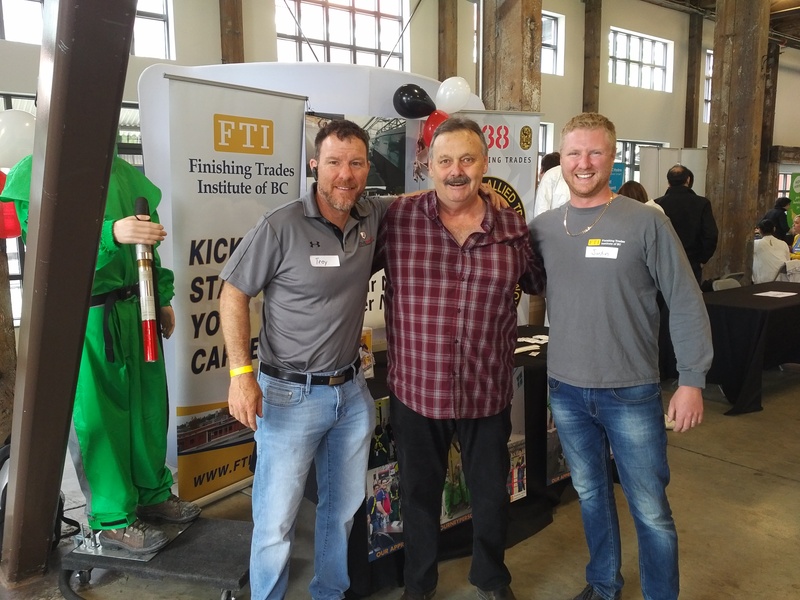 The FTI had partnered with Done Right Painting at last years event and we were happy to be back again lending our expertise. We are starting to get pretty good at displaying our wares at these events, having started to increase our attendance at fairs such as these over the past couple of years. Even with the small area we had to work with, we still managed to put on a pretty good display of what the FTI and our contractors have to offer in the way of a career as a commercial or industrial painter and the training that goes along with the Red Seal apprenticeship. Beyond the ability to speak with potential candidates who showed an interest in going to work for our contractors, there was also plenty of opportunity to interact with other contractors and professional groups at the fair. The event was MC’d by Peter Baker, of the Squamish Nation Trades Training Centre, who is a big supporter of the FTI. The Squamish Nation Trades Centre has partnered with us in delivering introductory trades training in painting and wall and ceiling installation to individuals from First Nations communities. 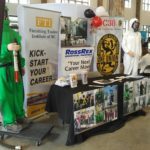 By the end of the event we had several potential candidates who were interested in our programs and the potential for a career in the Finishing Trades.